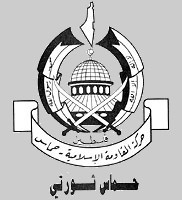 In its thirty-four article Covenant released in 1988, the Islamic Resistance Movement defined its goals and objectives, and its world view. Freemasonry is mentioned three times as a Zionist front, clearly perceived as an enemy of Islam. This unfortunate perception of Freemasonry can clearly be traced to John Robison and the Abbé Barruels unfounded writings on the causes of the French Revolution, Leo Taxils late nineteenth century hoax and the debunked Protocols of Zion. The charter's current status within Hamas is unclear. It has never been formally adopted since Hamas was elected as the Palestinian government in 2006. For a long time, the enemies have been planning, skillfully and with precision, for the achievement of what they have attained. They took into consideration the causes affecting the current of events. They strived to amass great and substantive material wealth which they devoted to the realisation of their dream. With their money, they took control of the world media, news agencies, the press, publishing houses, broadcasting stations, and others. With their money they stirred revolutions in various parts of the world with the purpose of achieving their interests and reaping the fruit therein. They were behind the French Revolution, the Communist revolution and most of the revolutions we heard and hear about, here and there. With their money they formed secret societies, such as Freemasons, Rotary Clubs, the Lions and others* in different parts of the world for the purpose of sabotaging societies and achieving Zionist interests. With their money they were able to control imperialistic countries and instigate them to colonize many countries in order to enable them to exploit their resources and spread corruption there.